Are you dreaming of putting gas in your car or filling up a tank with fuel? Dreaming of fuel can have many different meanings that might give you some insight into the current things happening in your life. What Does it Mean to Dream of Fuel or Gasoline? In order to understand the meaning of fuel in our dreams, it's important to think about the function of fuel in the "real world". For many of us who drive a car each and every day to work or school or other places, we are very much dependent on fuel in our cars. Fuel is what makes our cars go! Cars and driving in dreams often relate to control. If you are "behind the wheel" and driving a car in your dreams, it often shows how much control you might feel about a situation. If you dream about putting fuel in your car or see gasoline in your dreams, it's important to think about the context. What overall mood did you feel during the dream? What type of fuel did you see in the dream? Was it an old rusty gas can in the corner of a garage or were you filling the car at a modern and busy gas station? Were there any numbers in relation to the fuel? For example, some fuel types are 87 octane or 93 octane. Was there a price associated with the amount of gas? These numbers very well may have some meaning for you! What other events were happening in the dream? Were there any other prominent dream symbols in the dream? Are you driving the car or are you a passenger? What other people were present in the dream? These questions should be easy to answer - especially if you are in the habit of keeping a dream journal each night! Fuel is a source of energy. Seeing fuel in a dream is definitely a sign that you may want to think about your current energy levels in your life. The context of how you experienced fuel in the dream is going to give you a lot of clues about how you feel about your current energy. If you were dreaming that you were running out of gasoline while driving, this could mean you are not using your own personal energy during the day wisely! Dreaming about an abundance of fuel or gasoline, such as gasoline gushing out of a pump, could mean you are feeling a lot of excitement about an upcoming project or event. We often see gas stations as a place to rest and recharge. When we are driving on a road trip, it's not uncommon to stop at a gas station to get a break from driving and fuel up not only in our cars but also to get a drink or a snack to keep our physical body going. 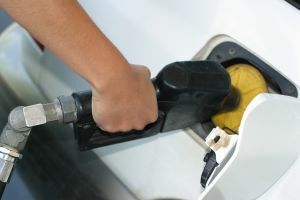 If the gas station seems to be a central focus of the dream, it is quite likely you are in need of a break from something that has taken up a lot of your time and energy recently. Ask yourself: Are you giving yourself enough personal time for self care? Dreaming that you are running out of fuel while driving may mean something deeper beyond just needing a break or needing to recharge in your personal life. Often times, this may symbolize that you feel that things are overwhelming or out of control. Afterall, if your car does not have gas in it, you cannot make it go anywhere, no matter how hard you may try! Gasoline is a very expensive commodity, especially with so many fluctuations and variables in the oil market industry. If you dream of fuel being spilled this may suggest that you are letting something go to waste. Are there opportunities in your life currently that you may not be using fully? Fuel is a very volatile substance and highly flammable - just the vapors alone are able to combust. If you see gasoline burning in a dream, it could suggest that you have very passionate feelings about something. However, bear in mind a fire started with gasoline often begins abruptly and fiercely - but it is not something which lasts forever. There are many things we can learn from paying attention to what we dream about! Do you have any experiences dreaming about gasoline? What are some of your own personal thoughts and associations for gasoline as a dream symbol? Share your thoughts in the comments section below!